While the HSBC Platinum Mastercard can help save money with its low APR and 0-percent introductory offer, you’ll need to be especially careful to stay on top of your payments due to its exorbitant penalty APR. This offer is no longer available on our site. The Navy Federal Credit Union Go Rewards card features very reasonable rates and fees and an APR that few cards can beat. The no-frills M&T Visa credit card can save money on interest thanks to its 12-month introductory period on balances and new purchases and reasonable rates and fees. 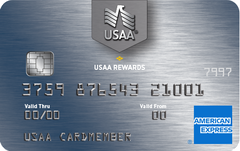 The USAA Preferred Cash Rewards Card offers a fairly reasonable APR, but doesn’t offer a 0-percent introductory APR on balance transfers and new purchases. This inexpensive credit union credit card carries the same low rate for every cardholder and charges some of the industry’s all-time lowest fees, but lacks a zero percent introductory offer. The State Farm Good Neighbor Visa card’s 15.24 percent interest rate is competitive, but there are better cards with a single-digit APR and more useful features. The DCU Visa Platinum credit card offers a low APR, a small sign-up bonus and relatively modest fees, but unfortunately lacks a 0 percent introductory APR. Though it offers a low APR and zero fees, the PenFed Promise Visa unfortunately lacks a zero percent introductory APR for new purchases. The Visa Signature Flagship Rewards card features a good rewards program and very reasonable rates and fees, as well as a low ongoing APR. Though the regular APR on the USAA Rewards American Express Card is very reasonable, the card lacks a 0-percent introductory period on balance transfers and new purchases. The DCU Visa Platinum Rewards card comes with a reasonable interest rate and waives many common fees; however, cardholders who want to save money on interest would be better served by a card with a 0 percent introductory offer. The Special Connections Visa Signature card features an exceptionally low interest rate and a fairly long introductory period on balance transfers and new purchases.